Draft: 2005, Atlanta Braves, 33rd rd. He and his wife Nancy have four children; Mia, Brantley, Beckham and Madi. In his 10th major league season, and third with Atlanta, appeared in 82 games while compiling a .341 on-base percentage…Hit .227 (57-for-251), his lowest average since batting .195 (50-for-256) in 2013 with Chicago (AL) ... His 35 walks were a career-best total…Since joining Atlanta in 2016, has a .360 on-base percentage in 264 games…Compiled a .289 mark in 431 games with Chicago (AL) ... Batted .348 (23-for-66) with five home runs and a .511 on-base percentage against left-handed pitching…Slugged .606 and had a 1.05 walk to strikeout ratio (20 walks/19 strikeouts) against lefties…Hit .184 (34-for-185) with 57 strikeouts and 15 walks against righties ... Signed a contract extension for the 2019 season with a club option for 2020 on 8/28 ... Hit his second career pinch-hit home run that night vs. TB…Drove a 1-1, eighth-inning pitch from Chaz Roe over the wall in left field ... Went 3-for-6 with a home run and four RBI as a pinch hitter ... Caught 18.5% of potential base stealers (10-for-44), his highest percentage since 2014 (26.2%)… Also compiled a 3.81 catcher's ERA ... Made his fifth career Opening Day start, and second with the Braves, 3/29 vs. PHI…Left during his first at-bat with a left oblique strain…Missed 23 games on the disabled list from 3/30-4/27. Returned to the Atlanta organization for his eighth season at the Major League level and 11th professional season overall ...Had one of his best offensive seasons as he batted a career-best .270 (76-for-281) with a career-high 18 doubles, eight home runs and 41 RBI in 83 games...Appeared in 81 games, including 76 starts at catcher…Posted a .995 fielding percentage, committed just three errors in 639 total chances...Posted a .274 (75-for-274) batting average and a .362 on-base percentage in 76 starts at catcher... Batted .348 (23-for-66) with six doubles, one home run and 31 RBI when batting with runners in scoring position...Ranked second on the club among players with at least 50 plate appearances with a .453 on-base percentage in such situations... Twenty-six of his final 61 hits went for extra bases (18 doubles, 8 home runs)…His first extra-base hit of the season came on 5/18 after not recording an extra-base hit in his first 19 games of the season...Missed 30 team games due to a left hand fracture from mid-July to mid-August…Was placed on the 15-day disabled list on 7/15 (retroactive to 7/10) and activated off the DL on 8/17. Activated off the disabled list on 8/17 and returned to the action on 8/18…Started 30 of the Braves' remaining 41 games in the season and batted .299 (32-for-107) with nine doubles, 20 RBI and a .378 on-base percentage in 30 games through the remainder of the season...Posted his third career four-hit game on 4/19 vs. LAD…Has had one four-hit effort each of the last three seasons...Stroked three doubles in a game for the first time in his career on 6/30 vs. MIA. Was the Chicago White Sox Opening Day catcher for the third straight season and appeared in 112 games. ... Started 100 games at catcher and also made two appearances at first base. Made his sixth career appearance (first of 2015) at first base on 5/29 at HOU. ... Threw out 14.5 percent (9-of-62) of attempted basestealers. ... The White Sox pitching staff owned a 3.68 ERA (359 ER/878.1 IP) when he was behind the plate, which ranked fifth among American League catchers in ERA. ... Stroked nine home runs on the season, including seven of which came in the first half of the season. ... Homered in a career-high three consecutive games, 6/26-7/1. ... Recorded a five-game hitting streak, 4/8-18 (.389, 7-for-18, 1 HR, 4 RBI), tied for the third-longest of his career. ... Connected on a game-winning, solo home run in the top of the 11th inning off Miguel Socolovich on 6/30 at STL. ... Matched his career high (second time) with a four-hit effort on 9/30 vs. KC. ... Matched his season high with three RBI on 8/21 at SEA and 9/4 at KC. ... Wrapped up the season hitting safely in five of his final six games, 9/24-10/2; .474 (9-for-19). American League Catching Leaders: 4th in starts (120) and IC (1052.0); T4th in games (124); T6th in CS (22)...Recorded career highs in virtually every category in his second season as the White Sox starting catcher...Hit 10-plus home runs for the second straight season, one of five AL catchers to accomplish the feat...Threw out 26.2 percent (22-84) of attempted basestealers...Sox pitchers owned a 3.97 ERA (464 ER/1,052.0 IP) when he was behind the plate...Hit .280 (42-150) with nine doubles, 10 home runs, 24 RBI and an .891 OPS in the second half … ranked among the AL leaders after the break in slugging (3rd, .553) and OPS (6th)...Made his second straight Opening Day start at catcher...Hit .367 (29-79) in April, his highest monthly mark in 2014...Recorded a hit in seven straight at-bats from 4/3-4, becoming the first White Sox catcher to accomplish the feat and first Sox player since Magglio Ordonez (also seven from 6/6-7/01)...His four hits on 4/3 vs. Minnesota were a career high...Recorded a multihit game on 4/16 vs. Boston after entering the game in the 10th inning as a defensive replacement...Registered three-hit games on 4/20 at Texas and 4/24 at Detroit, surpassing his career total entering the season...Logged his ninth multihit game of the season on 4/28 vs. Tampa Bay, matching his number from 2013 … surpassed his previous season's total with his 10th on 5/9 vs. Arizona...Snapped a career-long 0-25 stretch with a RBI single on 6/18 vs. San Francisco...Hit .434 (23-53) over 17 games from 7/13-8/6, raising his average from .213 to .252...Recorded six multihit efforts in nine games from 7/13-29, going 16-32 (.500) with six doubles, one homer and seven RBI...Fell a double short of the cycle on 8/4 vs. Texas...Matched his career high (also 2013) with his 10th home run on 8/30-1 vs. Detroit...Recorded his first career multihomer game and matched a career high with four RBI on 9/2 at Minnesota...Registered a career-high, eight-game hitting streak from 8/28-9/8, hitting .400 (12-30) with five homers and seven RBI...Hit a game-tying, solo homer with two outs in the bottom of the ninth and a game-ending solo shot in the 12th on 9/8 vs. Oakland (marked his first career game-ending homer)...Joined Seattle's Donnie Scott (4/29/85 vs. Milwaukee) as the only catchers in history to hit a game-tying homer in the ninth and a walkoff shot in the same game … the last White Sox to accomplish the feat was Joe Crede on 8/27/02 vs. Toronto...Extended his career high with his 15th and final homer (two-run shot) in the White Sox 2-0 win on 9/22 at Detroit. Appeared in 84 games with the White Sox before undergoing season-ending surgery on his right shoulder … Sox pitchers owned a 3.86 ERA (295 ER/687.2 IP) when he was behind the plate … threw out 20.0 percent (13-65) of attempted basestealers … hit eight home runs with 19 RBI vs. right-handers (two homers and five RBI vs. lefties) … homered in the White Sox 1-0 Opening Day victory on 4/1 vs. Kansas City … became the fourth player in baseball history to homer in a 1-0 season-opening win, joining Pittsburgh's Bob Bailey (1965), the Yankees' Frank Fernandez (1968) and the Dodgers' Gary Sheffield (2001) … hit his second home run in the White Sox second game on 4/3 vs. the Royals, joining Sherm Lollar (1958) as the only Sox catchers to homer in the team's first two games (STATS LLC) … hit go-ahead, three-run homers on 4/17 at Toronto and 5/2 at Texas … matched his career high with three hits (second time) on 6/7 vs. Oakland, including a solo homer … hit his career-high eighth home run on 6/28-1 vs. Cleveland, a three-run shot … made just eight starts from 8/1-end of his season due to discomfort in his right shoulder … was placed on the 60-day disabled list on 9/3 … underwent surgery to debride his right rotator cuff and labrum on 9/5 at Rush University Medical Center in Chicago (approximate recovery time of 4-6 months). Appeared in a career-high 52 games and made 41 starts ... his 29 hits, seven home runs and 19 runs scored were career highs ... made 40 starts at catcher and one at first base ... Sox pitchers owned a 4.04 ERA (162 ER/360.2 IP) when he was behind the plate ... threw out 30.0 percent (12-40) of attempted basestealers ... recorded six multihit games and three multi-RBI efforts ... hit .269 (14-52) vs. left-handers and .179 (15-84) vs. righties ... collected five home runs and 10 RBI at home (two homers and three RBI on the road) ... went 11-37 (.297) with three home runs and six RBIs vs. the American League West and 11-29 (.379) with four homers and eight RBI in August ... recorded his first career stolen base on 4/14 vs. Detroit ... threw out a career-high two attempted basestealers on 4/19 vs. Baltimore ... was 2-4 with his second home run of the season on 5/20 at cubs (first multihit game of the season) ... made his first start of the season (third career) at first base on 6/6 vs. Toronto ... recorded his second career stolen base on 6/26 at Minnesota ... hit .347 (17-49) with four homers, eight RBIs and six runs scored over 14 games (13 starts at catcher) from 7/22-8/26 ... made five consecutive starts from 7/24-29 ... collected a career-high three hits and three RBIs, including a solo homer, on 8/11 vs. Oakland ... hit a 463-foot solo home run (above the second deck in left field at Rogers Centre) on 8/17 at Toronto ... hit a game-tying home run on 8/25 vs. Seattle and a go-ahead two-run shot on 8/26 vs. the Mariners ... was on paternity leave list from 8/30-31 as he and his wife welcomed their first child, daughter Mia Therese. Batted .209 (23-110) with five doubles, five home runs and 16 RBI in 38 games with the White Sox...made 28 starts at catcher (Sox went 16-12) and two at first base (1-1)...threw out 19.4 (6-25) percent ofattempted basestealers...Sox pitchers compiled a 3.96 ERA (113 ER/256.2 IP) while he was behind the plate...hit .316 (12-38) in his first 13 games, compared to .153 (11-72) in his final 25...was recalled from ClassAAA Charlotte on 7/10...recorded his first Major-League home run and RBI on 8/13 vs. Kansas City (off LukeHochevar)...posted three straight multihit games from 8/13-16, including a 2-7 effort with a double and tripleon 8/16 vs. Cleveland...hit his first career grand slam on 8/28 at Seattle (off Jason Vargas)...hit .259 (15-58)in August...made his first-ever appearance at first base on 9/12 vs. Detroit...homered in back-to-back gamesfor the first time in his career on 9/26-27 vs. Toronto...hit .261 (58-222) with eight doubles, 15 home runs and32 RBI in 65 games with the Knights...ranked third in the International League in OBP (.390) and tied for sixthin home runs at the time of his promotion. Spent the majority of the season with Class AAA Charlotte...appeared in eight games with the WhiteSox, going 1-11 (.091) with two runs scored...made three starts at catcher and appeared in three games as apinch hitter (0-3)...was recalled by the Sox from Charlotte on 9/1...made his season debut on 9/7 at Detroit,going 0-1...made his first start of the season on 9/22 at Oakland...batted .220 (76-346) with 16 home runs, 53RBI and 43 runs scored in 100 games with Charlotte...was named to the International League All-Star Team ...led the Knights in walks (55)...entered the season ranked by Baseball America as the No. 2 prospect in the Soxorganization...also tabbed by the same publication as the Best Power Hitter and having the Best Strike-ZoneDiscipline among Sox farmhands. Played in 10 games with the White Sox, going 3-16 (.188)...made three starts at catcher...his contractwas purchased from Charlotte on 9/1...made his Major-League debut as a pinch-hitter on 9/3 at the Cubs...collected his first hit on 9/19 vs. Kansas City (single off Victor Marte)...began the season ranked by BaseballAmerica as the No. 4 Prospect in the Sox organization...also was cited by ESPN.com as the No. 51 Prospectin baseball...spent the majority of the season with Class AA Birmingham...was named to the Topps' Class AAAll-Star Team and the Southern League mid and postseason All-Star Teams...hit .297 (105-353) with 15 homeruns and 56 RBI in 108 games between Birmingham and Class AAA Charlotte...went 1-2 in the ML B All-StarFutures Game in St. Louis...began the season with the Barons...led the SL in on-base percentage (.445) andranked second in walks (57) and slugging percentage (.548) at the time of his promotion to Charlotte on 7/15. Was named Class A Myrtle Beach Most Valuable Player after hitting .288 (119-413) with 32 doubles,17 home runs and 88 RBI in 122 games...was selected to the Carolina League postseason All-Star Team...ranked among the CL leaders in walks (1st, 98), on-base percentage (2nd, .427), RBI (4th), slugging percentage(5th, .494) and home runs (T7th)...played for Mesa of the Arizona Fall League and hit .387 (29-75) with 12homers and 23 RBI...led the AFL in home runs and slugging percentage (.973) and ranked eighth in average...participated in the AFL Rising Stars Showcase and was named to the AFL Top Prospect Team as a designatedhitter...earned Week 3 Player of the Week honors after going 7-11 (.636) with four homers and five RBI...wasacquired by the Sox as part of a six-player deal with Atlanta on 12/5 (acquisition recommended by Gary Pellantand Paul Provas). Spent the entire season with Class A Rome, batting .298 (116-389) with 34 doubles, 12 homers and70 RBI in 106 games ... was named the club's Most Valuable Player ... played in 33 games with Honolulu of theHawai'i Winter League ... was a non-roster invitee to spring training with Atlanta. Made his professional debut with Rookie Danville...was signed by Al Goetz. Spent the majority of the season with Class AA Birmingham...was named to the Topps' Class AA All-Star Team and the Southern League mid/postseason All-Star Teams...appeared in 10 games with the White Sox, going 3-16 (.188)...made three starts at catcher...his contract was purchased from Class AAA Charlotte on 9/1...made his major-league debut as a pinch-hitter on 9/3 at Cubs...collected his fi rst hit on 9/19 vs. Kansas City (single off Victor Marte)...hit .297 (105-353) with 15 home runs and 56 RBI in 108 games between Birmingham and Charlotte...combined to throw out 27-93 (29.0 percent) attempted basestealers...went 1-2 in the MLB All-Star Futures Game in St. Louis...began the season with the Barons...led the SL in on-base percentage (.445) and ranked second in walks (57) and slugging percentage (.548) at the time of his promotion to Charlotte on /15...began the season ranked by Baseball America as the No. 4 Prospect in the white Sox organization...also cited by ESPN.com as the No. 51 Prospect in baseball. 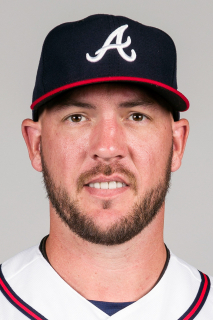 April 27, 2018 Atlanta Braves activated C Tyler Flowers from the 10-day injured list. April 26, 2018 Atlanta Braves sent C Tyler Flowers on a rehab assignment to Mississippi Braves. April 23, 2018 Atlanta Braves sent C Tyler Flowers on a rehab assignment to Gwinnett Stripers. March 30, 2018 Atlanta Braves placed C Tyler Flowers on the 10-day disabled list. Strained left oblique. September 8, 2017 Atlanta Braves activated C Tyler Flowers from the 10-day disabled list. August 30, 2017 Atlanta Braves placed C Tyler Flowers on the 10-day disabled list. Left wrist contusion. August 17, 2016 Atlanta Braves activated C Tyler Flowers from the 15-day disabled list. August 15, 2016 Atlanta Braves sent C Tyler Flowers on a rehab assignment to Rome Braves. August 13, 2016 Atlanta Braves sent C Tyler Flowers on a rehab assignment to Gwinnett Braves. August 11, 2016 Atlanta Braves sent C Tyler Flowers on a rehab assignment to GCL Braves. July 15, 2016 Atlanta Braves placed C Tyler Flowers on the 15-day disabled list retroactive to July 10, 2016. Fractured left hand. June 21, 2016 C Tyler Flowers assigned to Danville Braves. December 16, 2015 Atlanta Braves signed free agent C Tyler Flowers. December 2, 2015 C Tyler Flowers elected free agency. October 24, 2013 Chicago White Sox activated C Tyler Flowers from the 60-day disabled list. September 3, 2013 Chicago White Sox placed C Tyler Flowers on the 60-day disabled list. Right shoulder surgery. October 14, 2012 Tyler Flowers assigned to Tigres del Licey. October 14, 2012 Leones del Escogido activated C Tyler Flowers. September 1, 2012 Chicago White Sox activated C Tyler Flowers from the paternity list. July 10, 2011 Chicago White Sox recalled Tyler Flowers from Charlotte Knights. March 22, 2011 Chicago White Sox optioned Tyler Flowers to Charlotte Knights. September 1, 2010 Chicago White Sox recalled Tyler Flowers from Charlotte Knights. March 23, 2010 Chicago White Sox optioned Tyler Flowers to Charlotte Knights. September 1, 2009 Chicago White Sox selected the contract of Tyler Flowers from Charlotte Knights. July 14, 2009 Tyler Flowers assigned to Charlotte Knights from Birmingham Barons. January 12, 2009 Birmingham Barons signed free agent Tyler Flowers.